Capture One Pro is a high-end alternative to Adobe Lightroom, offering a similar combination of image cataloguing, raw processing and editing tools but with what's widely regarded as perhaps the best quality raw conversions, colour editing and workflow tools for pros, plus industry-standard tethering tools for studio photography. The new version brings support for raw files from the new Nikon Z6 and Z7 mirrorless cameras, the Canon EOS R, EOS M50 and the Fujifilm GFX 50R. Capture One Pro 12 also has a brand new Parametric Masking engine which lets you create Linear Gradient and Radial Gradient masks which can be modified later. This brings it into line with Lightroom's re-editable masking tools. Capture One Pro already has an internal adjustment layers system that makes complex adjustments easier to view and manage. Taking the masking tools a step further, Capture One Pro 12 also introduces Luma Range luminosity masking tools which can create a mask based on the brightness of different areas in the picture. These can be copied from one image to another and will automatically adapt to the each picture. They can be used for selective noise reduction or highly selective colour or tonal adjustments. It's all designed to make Capture One Pro even more powerful and flexible, and Phase One has also redesigned the interface with this in mind, with new icons, improved spacing, better sliders and a menu system that's been reorganised to be more logical and welcoming to new users. Capture One's new masking engine offers re-editable linear and radial masks, together with a new 'dynamic' luminosity masking feature. Phase One promised at Photokina 2018 that it would bring support for Fujifilm's renowned Film Simulation modes, and this has been added in Capture One Pro 12. The software can now open raw files from all Fujifilm camera models and recreate 16 different in-camera modes, including Velvia, Provia and Fujifilm's Acros black and white Film Simulation. This support extends to Fujifilm's medium format GFX 50S and GFX 50R models, which was one of the exciting announcements at Photokina – Phase One makes its own competing medium format cameras, so it was great to hear that the company's software would now support the rival Fujifilm models. Capture One Pro 12 costs $299 for a perpetual licence (upgrade price from $149), but it's also available in brand-specific Capture One Pro Sony 12 and Capture One Pro Fujifilm 12 editions which cost $219. Alternatively, you can get Capture One Pro 12 on an Adobe-style subscription plan for $15 per month for the full version, or $14 per month for the Sony or Fujifilm versions. 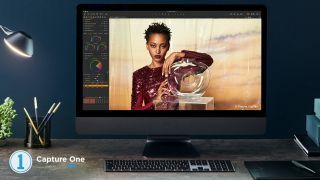 It is more expensive than Lightroom, but Capture One Pro 12 is aimed at a high-end professional market where its studio tethering tools, streamlined editing workflow and the quality of its raw processing have already earned it a formidable reputation.